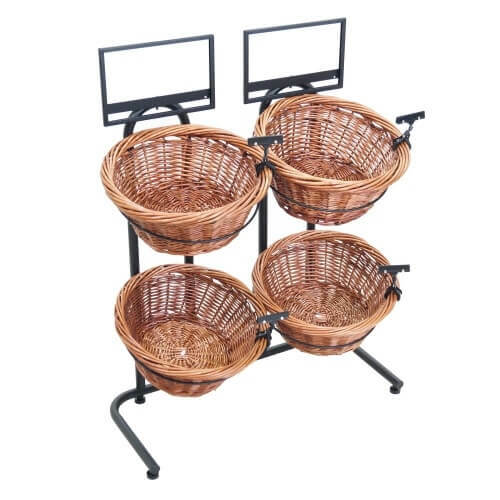 You can show off a delicious variety of products with this 4 Basket Wicker Display With Sign Holders. 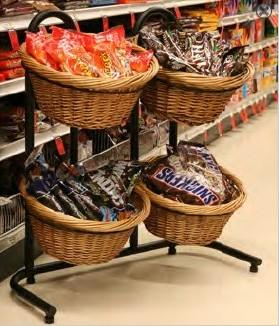 Fill the basket display with bulk candy and watch kids and adults scope out the goodies. 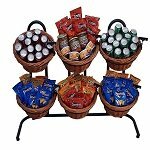 Or use as a produce display rack to showcase fresh and healthy fruits and veggies. 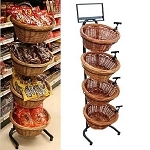 The 4 basket floor display will be a show stopper where ever you place it in your store. Great for the upcoming holidays. Order yours today!